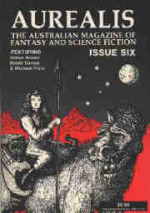 View Cart “Aurealis #7” has been added to your cart. Catherine S. McMullen is a writer and film & TV professional. 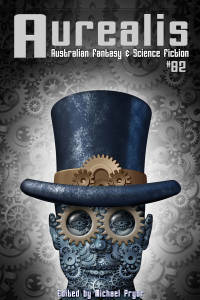 Her fiction work has been published in Nightmare Magazine, Aurealis, Interzone and others, and reprinted in anthologies such as Year's Best Australian Fantasy & Horror and Focus 2013. 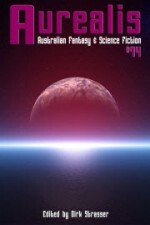 Carolyn is a writer with a passion for introducing young adults to the intriguing world of speculative fiction. Born and destined to remain in Melbourne - at least until she is uploaded into a collective consciousness - she holds a Bachelor of Science degree and currently works part time for a finance company. She has completed five novels and numerous short stories. Gillian Polack is a writer, editor and historian. She had four novels currently published, and her second novel Ms Cellophane (Momentum) was shortlisted for a Ditmar award. Stephen King’s Doctor Sleep isn’t a perfect novel. It has inconsistencies, a few plot holes, some ‘What the …?’ moments, but they’re forgiven because King does something surpassingly well, something that drags us into the story and keeps us reading right through. Stephen King does character like few others can. If a writer does character well, the story will work. If all the other story elements are wonderful, but the story’s characters are dull, flat, or unengaging, then the story is likely to fail. The key word here is ‘engaging’. If a writer creates engaging characters, readers will keep reading to see what happens to them, it’s as simple as that. King has a knack for creating engaging characters. Strike that, it’s not a knack – it’s something that he works at in a hundred different ways. The two main characters in Doctor Sleep are Dan Torrance and Abra Stone. Dan is the main Point of View character. Now, while remembering that King is a Horror Writer and Dr Sleep is a Horror novel, take note of how much time King spends on non-horror stuff. A good half of the novel has nothing to do with horror. We explore Dan’s problems with alcoholism, we see his search for solace, we experience his sense of dislocation, we work through his backstory – family, work history, episodes of violence and self-loathing. To balance this, we learn about Dan through his actions, where he acts selflessly but not without internal struggle. We see him undertake work, physical labour, and he does so with care and dedication. We see his relationships with others – sometimes fraught, sometimes difficult. And we come to understand Dan’s tortured feelings about his parents. King keeps us riveted in Dan’s personal struggles in a thousand different ways, like turns of phrase that belong to Dan alone, or the careful formality he uses when addressing the older women in the hospice he works at, or his childish enjoyment at driving the model train, or the mannerisms that are sifted in along the way, all contribute to a rounded, breathing character. Mannerisms. An example would be useful here, but the most important mannerism in this book is a key plot point, and we don’t want to get into spoiler territory. Let it be said that the mannerism is deftly dropped in nice and early then touched on a few times throughout so that when the key moment comes you not only have a fine example of using mannerisms to establish and maintain character, you have a superb example of foreshadowing. King is a craftsman. King uses memories, too, and this is particularly important since this book is ‘many years later’ sequel to The Shining. Dan’s flashbacks and musings fill us in on what has happened in the years since the Overlook Hotel burned down, but the time he spends dwelling on these events serves another purpose – they show us that he’s a thoughtful, reflective person. All of this works independently from the horror aspects of the book. And, of course, when the horror elements are introduced, they are all the more horrific because they are contrasted with these everyday elements of a realistic life. Thanks to King’s careful characterisation, we keep turning the pages, on the edges of our seats because we care for Dan and Abra, we want to see if they will prevail or if they will succumb to the evil. King manages to do all of this subtly, with a lightness of touch that is masterly. We don’t see him at work because we are engrossed in the characters and the narrative. He doesn’t draw attention to his methods – they work away undetected. Doctor Sleep is a masterclass in character and characterisation. The shepherd came in from the outside, stamping his feet, and covered in that red dust. It eddied and swirled around the door as he walked inside. It’s always nice to have a little space, so when I saw the bright Forward Institute poster advertising for volunteers for scientific research, I seriously considered it for a good, oh, twenty seconds… before common sense laughed and jeered at me for even thinking about it. The private suite they were offering the volunteers was not worth the price. Welcome back John. 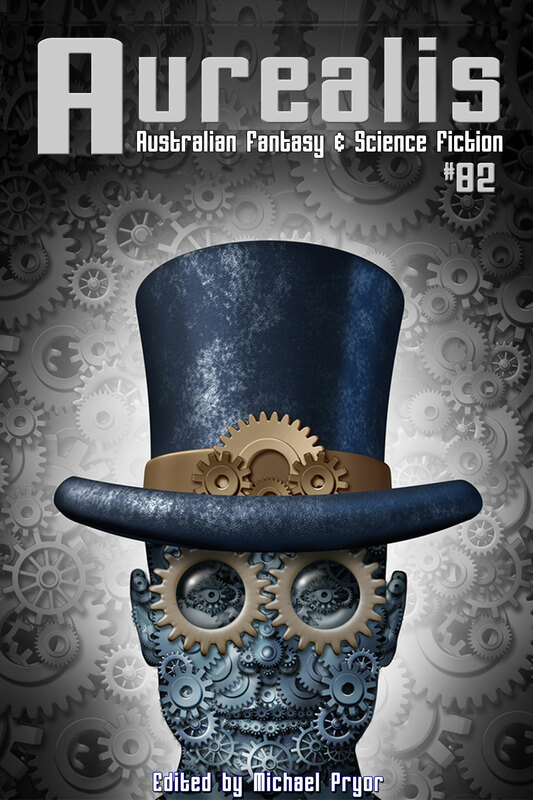 At the moment your new book Lock In, is a standalone novel. Are you considering writing more in this world? Or is this it? 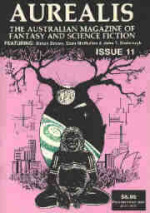 Cordwainer Smith is one of the science fiction greats. Under his scholarly name, he was an expert in psychological warfare. He was American, with strong links to China. When people talk about Smith, these are the usual facts. 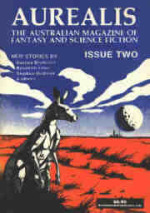 These and that he died in his early fifties, leaving behind a legacy of bizarre and brilliant science fiction including classic stories such as ‘Scanners live in Vain.’ A recurring place in his work was Norstrilia (‘Old North Australia’). There is more to Norstrilia than meets the eye.